The Container Yard x Hansen's Soda threw the first ever Fresh Coat Mural Festival. 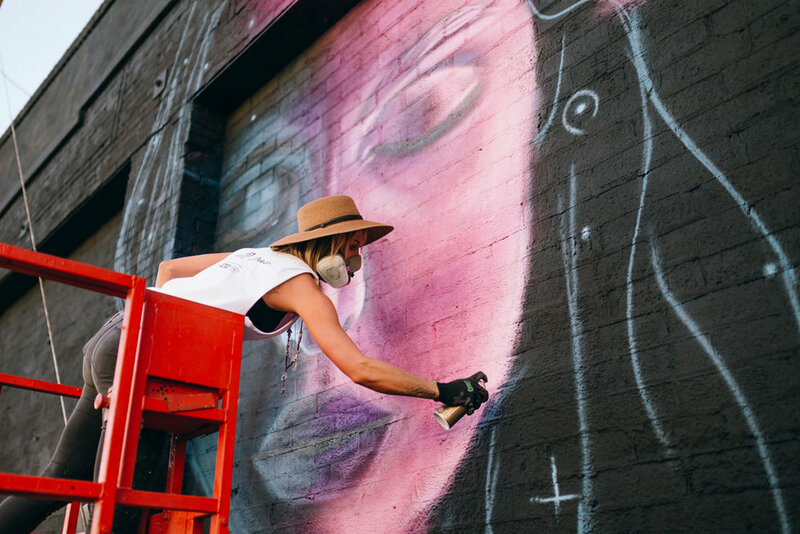 Music, murals, munchies and mad free soda in the heart of LA's arts district. New murals from Drew Merritt, Breeze, Vyal, It's A Living, Axis, Carley Ealey, Andrew Hem, OG Slick, along with other artist in process. Live mural paintings had vibes set with DJ skills of RJD2, Poolside, Viceroy, The Hood Internet, Peanut Butter Wolf and our beloved Beat Junkies! 4 gourmet food trucks, craft brews from our neighbors at Angel City Brewing, and all the Hansen's soda you can handle!